Great thread! 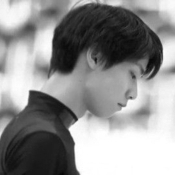 Here is Yuzu's best POTO performance from GPF Barcelona 2014! You're right, he looks good in a v-neck! So many beautiful POTO photos! I hope it's fine if I include this here. but I think this is one of the few videos snippets of the event that I can actually look at. Personally, I'm simply in love with the gold decorations. 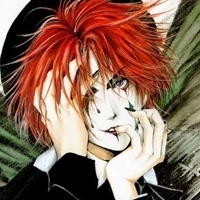 Especially in combination with black gloves. It's so royal. You are brave. I only dare to watch it once in all that time. My reaction was exactly as the voice of that woman which can be heard in the K&C. I think, she embodied the feelings of all of us. But, for me, it's also because of this choice to skate no matter what, - he is who he is. Unstoppable. I'm gonna do some shameless self-promotion and post a revised version I made - the popped toe moved to fit the music - of one of my favorite programs. When it comes to jump-on-the-note chore, POTO beats them all. Plus the best placed ina bauer! EDIT: Akhem, how do I post DM videos? Edit2: I figured it out! Go me! When I finished the video, and watched it, I was a bit "Hmmm, something's not right, that jump looks odd even though it's now on the note..." and quickly realized that the 3T wass just too freaking small for that music note, it was definitely designed with a quad in mind.... I was tempted to try to cut out the 4T from GPF but because of different color scheme and tv logos it'd be evident, so no good for our OCD either. But damn, the GPF version with on-the-note 4T is mind- boggling. I was looking for a thread about POTO and lo and behold I found it. Why was I looking? Simply because both the program and the costume are my favorites. 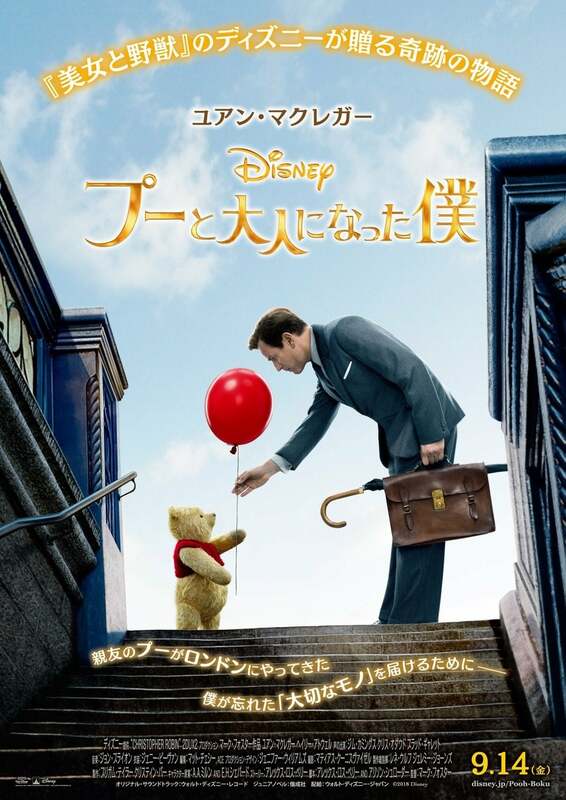 I love the costume because it's close-fitted and really highlights Yuzu's elegantly slender physique. The feathered look and coloring, it's just fabulous in my very humble opinion. Then the program? It has what I've thought has been lacking in Seimei and Hope and Legacy - that is, DRAMA. 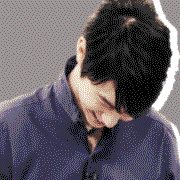 Dramatically it's the best thing he's presented since RJ1 which is my favorite of the earlier programs. 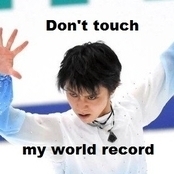 It also brings out the best of Yuzu's talents. There are two types of skaters, athletic and lyric. Boyang is probably the best example of an athletic skater. Patrick Chan in the recent past and Jason Brown now, are lyric skaters. Hanyu combines the best of both and that is why he's the one to beat and has been since the 2013-2014 season, and it's my opinion that POTO highlights both of those most spectacularly. I've never been fond of Seimei and Hope and Legacy. I think them too subdued. I respect them and appreciate them for what they did for Yuzu's career but rather than Seimei, I wish he had chosen POTO to reprise for this season if he was going to reprise an earlier long program. It was a program that due to the crash never really had a chance to shine. At the GPF it came damnably close. One fall on his last jumping pass of a triple lutz marred what would have been a cleanly skated program, one that would have become as legendary as his performance at the next year's GPF where he broke all the records he set just before at the NHK. I think it quite possible that he would have broken two hundred were it not for the fall. As it was he won the GPF that year in what has to be regarded as a blowout. So enough said. We'll have to wait and see whether Seimei redux has the magic to deliver gold again. 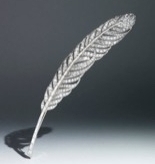 Image Credit : Platinum and diamond feather, Van Cleef & Arpels 1923, Masterpiece London 2013. I love PotO as well but there would have been an outcry if he'd used a warhorse, especially when Mura is reusing his Phantom from that same season. Pages ago, before the FP music was announced every time the members got nervy there was an outburst of several pages of agonised "hope he's not going to reuse Phantom" posts which became quite comical after a while!